Dungeons and Dragons Online launched back in 2006 and has been free to play since 2009. As the name suggests it draws plenty of inspiration from Dungeons and Dragons (in particular the D&D 3.5 rule set) so the game has obvious appeal to fans of D&D. Dungeons and Dragons Online takes place around the city of Stormreach which is on the continent of Xen’drik. The continent is largely uninhabited and unexplored meaning that there are plenty of environments and dungeons just waiting for players to explore. 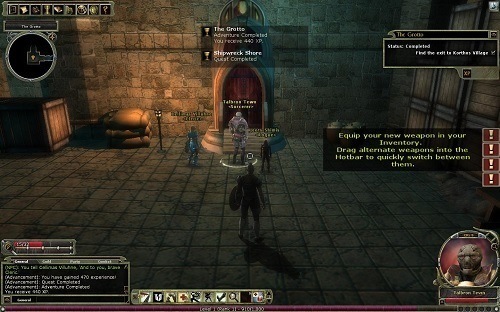 The game revolves around instances with players tackling scenarios and dungeons in order to protect the city of Stormreach from a number of threats. The game combines action role playing elements into the core gameplay with a focus on real time combat that has some room for players to dodge longer ranged attacks. Players will also find that the game has definitely been designed with a party focus and sometimes can feel lacking when venturing alone. Unlike similar MMO games players do not gain experience points for killing monsters so you won’t have to worry about any grinding. Instead levels are gained entirely through questing with quests requiring certain levels to be initiated. The game has pretty strict penalties for level differences when attempting quests so if you plan to play with friends its best to stay within a level or two of each other. Dungeons and Dragons Online has a good variety of class and race options with a few requiring an in game purchase before being available. While players choose a class at the start of the game you definitely aren’t stuck in that class for your entire journey with reincarnation allowing players to easily change up their character when they get bored and need a change. Dungeons and Dragons Online is a solid MMORPG experience with definite appeal to fans of Dungeons and Dragons. It’s got a few interesting features up it’s sleeve which help it stand out in the MMO crowd. Based on Dungeons and Dragons. Free to play with a fair micro transaction system. Good amount of class and race options available. Quest based levelling creates a different experience. Is Neverwinter the sequel to Dungeons and dragons? Are they connected somehow? 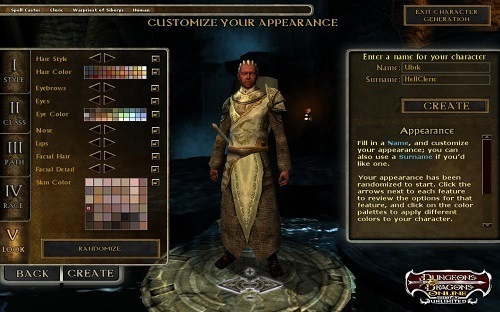 The Neverwinter Nights Saga is more of a sequal to the Baldur’s Gate and Icewind Dale Series’. Neverwinter Nights, Baldur’s Gate, and Icewind Dale all take place in Fearún (I believe) and D&D Online takes place on a different continent.